Ultimate hamper! 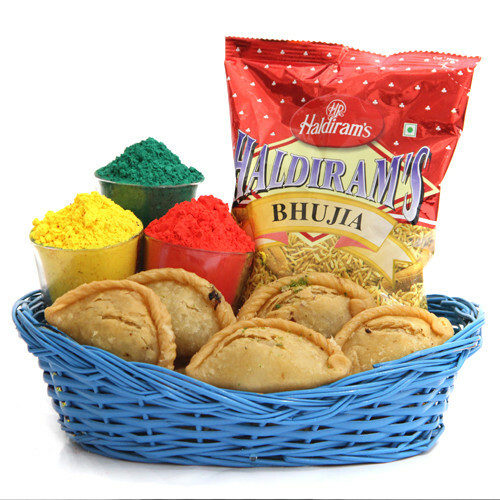 It includes 500g delicious Gujiya, 200g Haldiram's bhujia, 3 cute buckets of 2.5 inches each filled with yellow, red & green gulaal weighing 100g each. All these are perfectly decorated in a 9x6 inches stylish wooden basket.